About 45,000 new cases of breast cancer are diagnosed each year in England and Wales. 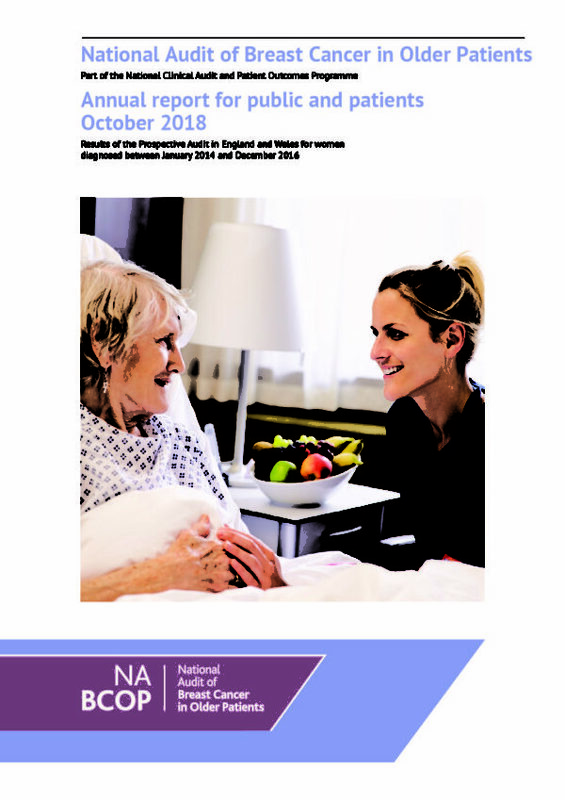 Although clinical guidelines emphasize that treatment decisions are based on clinical need and fitness rather than age, there is evidence that NHS services have different approaches to breast cancer management for older patients. 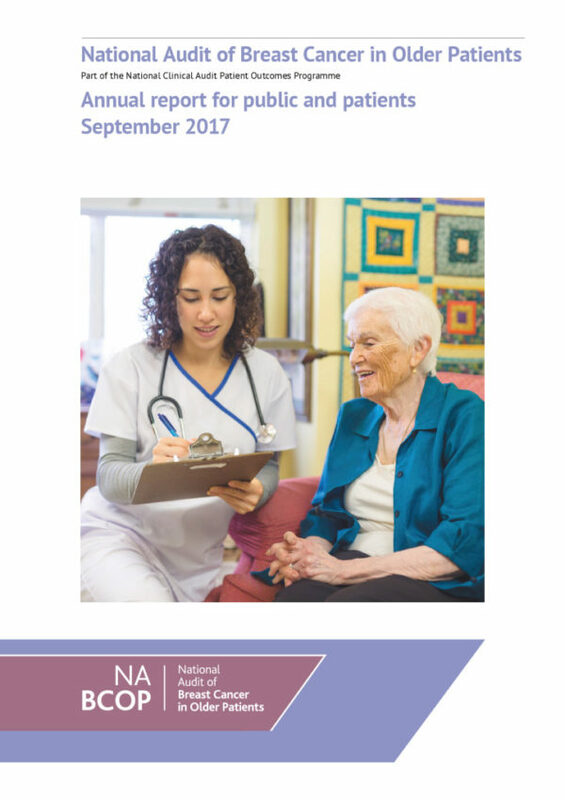 The National Audit of Breast Cancer in Older Patients (NABCOP) will assess the processes of care and outcomes for women aged over 70 years. NABCOP’s results will help NHS breast cancer services in England and Wales to benchmark and improve the care delivered to these women. NABCOP is a new project that began in April 2016. It is run by the Association of Breast Surgery and the Clinical Effectiveness Unit at the Royal College of Surgeons of England. The clinical audit will focus on the patient pathway from diagnosis to the end of primary therapy, for women diagnosed with breast cancer from 2014 onwards. In the first year, NABCOP has conducted an organisational audit and define a set of process and outcome indicators. NABCOP will only use patient-level data that have been collected by the cancer registration services in England and Wales. NHS hospital trusts and health boards will be contacted by the NABCOP team during October 2016 with instructions for participation. 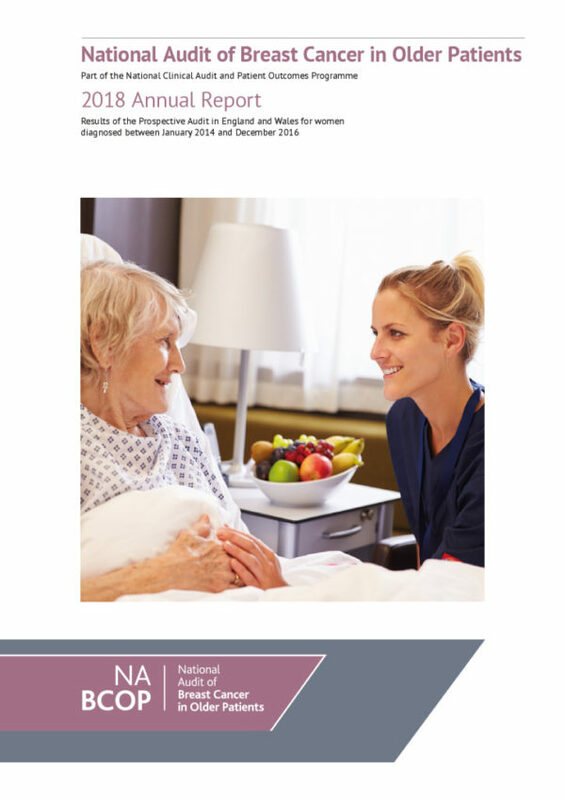 The first report from NABCOP will be published in spring 2017 and yearly thereafter.